In the classic clip above from The Cosby Show, Cliff Huxtable’s son Theo feels ready to live on his own, but his father humorously disabuses him of the notion by taking him through a hypothetical budget. Without a wise Bill Cosby to burst their bubble before leaving home, a lot of young men come to the realization that budgeting their income is harder and more complicated than they had imagined. After 18 years of having almost all expenses taken care of, figuring out how to live within your means on your own can be downright overwhelming. What I needed, and what all young men who are living on their own for the first time need, was a budget. When you’re young and independent, your income is likely limited. You have to do all you can to stretch every last dollar. One tool that can assist you with that is a well thought out budget. A budget is basically a roadmap of your financial life. It allows you to plan your expenses so that you don’t spend more money than you have coming in. Without a budget, you may spend money on non-essential things early in the month and at the end of the month when bills come due, find that you don’t have the scratch to cover them. At this point you’re stuck, and may have to start charging things on your credit card to cover your outstanding expenses. Then, because you don’t budget the next month either, you won’t have the money to pay the balance on the card. Interest will start piling up, and you can soon easily find yourself in the enslaving grip of debt. Creating a budget gives you control over the feeling of chaos you may have about your finances. Staying out of debt always involves difficult choices; you can’t have it all. Creating a budget allows you to make informed, purposeful decisions as to how to allocate your money in the best possible way to reach your goals. Creating a budget by hand is pretty simple, but maintaining it can be difficult because of the discipline it requires. As I’ll explain below, I personally recommend the online service Mint for creating and sticking with a budget. But I wanted to put the pen and paper option out there, because 1) some folks like doing things by hand, 2) going through the steps on how to create an offline budget is a good way of learning the basic principles, regardless of format, and 3) even if you don’t plan on doing one by hand indefinitely, you might want to try it a few times in order to reinforce those principles. 1) Assess your monthly income. Gather your pay stubs together and figure out exactly how much you’re bringing in each month. If you’re self-employed or do work on the side, make a close estimate of how much you earn a month. You need to know how much money you have to work with before you start budgeting it out. 2) List your fixed expenses. Fixed expenses are those that stay roughly the same each month. They include things like rent, car insurance, car payments, health insurance, phone bill, and student loan payments. 3) Subtract your total fixed expenses from your total monthly income. The amount that’s left over is what you can work with for your variable expenses. If your fixed expenses are more than your total monthly income, you’re in trouble, as we haven’t even gotten to your variable expenses yet. Cut the cable, downgrade your cell phone plan, get a roommate to reduce rent costs, etc. 4) Set a spending goal for variable expenses. Now that you know how much money you have to work with, you can start budgeting for your variable expenses. These are the expenses that fluctuate from month-to-month. Unlike fixed expenses, you have a degree of control over variable expenses; these are the areas where you can cut back the most and start getting ahead in your finances. This type of spending includes items like groceries, utilities, gasoline, eating out, and entertainment. Set a reasonable spending goal for each variable expense. 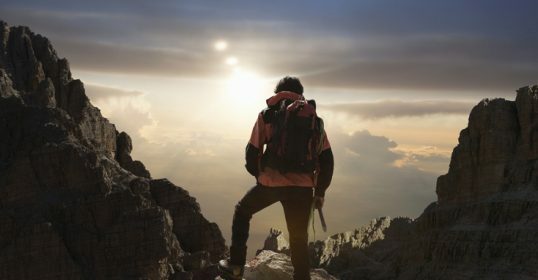 When you’re just starting out in life, you’ll likely be living paycheck to paycheck, and will understandably want to spend the remains of your variable budget on doing fun things with your friends after taking care of the basics like gas and food. But as soon as you can swing it, make it a top priority to set aside a portion, no matter how small, to a retirement and an emergency fund. Let’s face it, when it comes to retirement we can no longer depend on our jobs or the government to fund it; who knows what the future of entitlements will bring? Set aside a small amount each month when possible and put it into a Roth IRA or 401K. In addition to saving for retirement, budget some money each month for an emergency fund. This money is to be used when you find yourself unemployed or to pay for car repairs and other unforeseen expenses; having one will give you a great sense of confidence and security. Even if you can only sock away $25 a month in the beginning, it’s better than nothing. Most financial experts agree that you should save enough for three to six months of living expenses. That’s hard to do when you’re a young man, but again, just work on it slowly and do what you can. If you’re looking for a good place to stash your emergency fund, check out ING Direct. It’s an online bank, and they have better interest rates than traditional brick and mortar institutions. It’s what I use. 5) Subtract your total expenses (fixed and variable) from your monthly income. The goal is for your total expense amount to be less than your income. If it’s not, you’ll need to tweak your expenses so that they are. This may mean cutting back or cutting out things like going out to eat or cable television. If you have a surplus, put it into your emergency fund or towards your retirement. 6) Keep track of spending. After you’ve created the budget for the month, keep track of every single penny you spend to ensure that you stay within your budget. Keeping track of your spending will also come in handy when you make next month’s budget. You’ll be able to review how much you spent the previous month and adjust accordingly. This is probably the hardest part of budgeting, and where most people fail. I actually ditched doing my budget by hand a few years ago and switched to using Mint because I was terribly inconsistent with keeping track of my spending. Withdraw enough cash to cover your variable expenses like groceries and entertainment. Get some regular ol’ mailing envelopes and label them “Groceries” or “Entertainment” or “Gas.” Put the amount of money you’ve budgeted for each of those categories into its respective envelope. You can only use the money in the envelope when making purchases for that category. When the money runs out, you’re done spending in that category for the month. 7) Review your budget every month. Each month, go over last month’s budget to see how you did. You’ll be able to see where you did well and where you can improve. After you review, repeat the whole process and make next month’s budget. As I mentioned above, I stopped budgeting by hand a few years ago and started using Mint to track my budget. In my opinion, it’s the only way to go. Mint’s free online service takes all the hassle out of one of the most important steps in budgeting: tracking your spending. 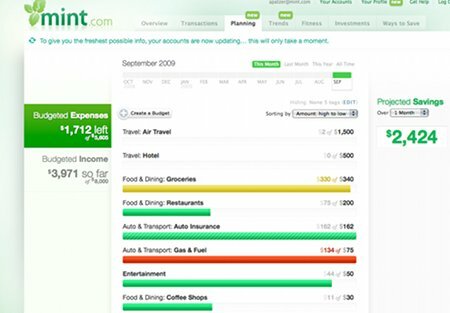 When you sign up for Mint, you’ll be asked to connect all your financial accounts (checking, credit cards, loans, etc.) into their system. Don’t worry. Mint uses the same 128-bit encryption and physical security that banks use. Their practices are monitored and verified by TRUSTe, VeriSign, and Hackersafe, and are supported by RSA Security. And besides, Mint is a “read only” platform. So if someone does hack into your account, they wouldn’t be able to move money. Track spending automatically. Once you have your financial accounts connected to Mint, just use your debit card as you normally would. Mint automatically tracks and categorizes your spending for you. So for example, if you pick up groceries at the supermarket, Mint will automatically categorize the purchase as “Groceries.” It’s almost magical how good Mint is at categorizing things automatically. The system is flexible, so if you don’t like the way it categorizes your spending, you can change it, and Mint will start organizing those transactions the way you prefer. There are times when the system gets things wrong or doesn’t know how to categorize a transaction, but correcting it isn’t difficult. Once the correction is made, Mint gets right back on track. Tweak Mint’s suggested budget. After a few weeks of tracking your income and spending, Mint will create charts and graphs that are easy to understand and show you exactly where your money is going. Using this information, Mint will create a suggested budget for you that you can then tweak to meet your financial goals. What’s great about this tool is that as you adjust your budget, Mint will show you charts on how those changes will affect the amount of money you’ll have left over at the end of the month, in real time. Let Mint remind you if you’re getting off track. Mint will send warnings to your email or cell phone when it notices that your current spending habits have put you on a trajectory that will overshoot your allocated budget. They’ll also send you alerts when certain bills are due. Review and adjust as needed. I log into Mint every week to see how things are going with my spending and budgeting. Mint’s easy-to-read charts make reviewing a breeze. If I need to clamp down on my budget, I make the adjustment and Mint takes care of the rest. As you sit down and put pen to paper (or finger to keyboard) to figure out your budget, you may find yourself getting overwhelmed by the minutia of it all or you may be left wondering if your budget is actually realistic. Sometimes it’s helpful to have a benchmark or rule of thumb to compare your budget to see if you’re on the right track. Limit 50% of your after tax income to needs like rent, utilities, food, health insurance, and car insurance. You need to be really strict about what you classify as a need. A cell phone plan with unlimited data and texting isn’t a need; cable isn’t a need; grass-fed buffalo steaks or SuperSonic burgers, while food, aren’t needseither. Limit 30% percent of your after tax income to wants. Clothes, eating out, cell phone plans, movies, subscriptions to magazines, apps, etc. Spend at least 20% of income on savings or paying down debt. If you have student loans or credit card debt, work on paying that down with at least 20% of your monthly income. Once you pay down your debt, shift to putting that money to retirement savings. Again, this is just a rule of thumb to offer some guidance. You can adjust it if you want to be more aggressive with your debt repayment or savings. But if your spending roughly matches the 50/30/20 breakdown, you can be confident that you’re on the right track financially. In addition to the different kinds of fixed and variable expenses mentioned above, sometimes you want to budget for something special. Maybe you want to save up for a backpacking trip in Europe, a Saddleback briefcase, or an engagement ring for your girlfriend. This is the kind of thing that’s easy and fun to keep track of by hand. But Mint also allows you to track your savings for a special goal. 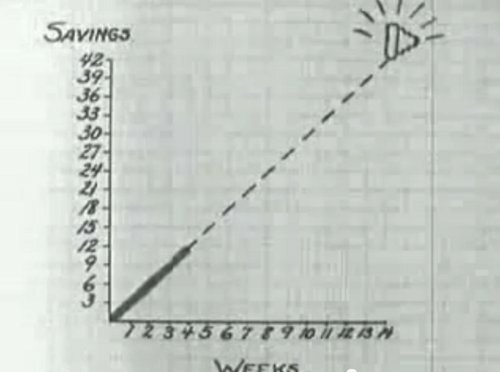 First, you’ll need to create a savings account that’s just for your special savings goal. ING Direct allows you to easily create free sub-accounts for these types of goals. Once you create your special savings account, create a goal in Mint, and connect that goal to your special savings account. 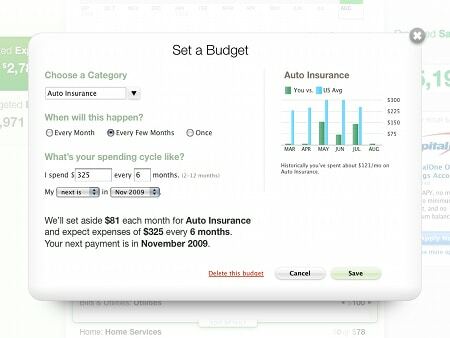 Mint will ask you how much money you want to save and when you need the money by. It will then spit out how much you need to save each month in order to reach it. As you save for your goal, Mint will let you know if you’re on track to meeting it by your deadline. Pretty nifty indeed!